Magic: Do they have a spell or magic that only they can use? If so, what field of magic do they study? Advantages/Disadvantages: To keep with role play Certain characters have strengths and weaknesses. Not to mention codes of honor, and other such annoying things. Here you can flesh those things. out. Having a huge drawback in a certain area, could mean that they have a strength in a different field. History: The Hundred Faced one was the last of the Assassin's to gain the Tittle of Hassan-I Sabbah: "The old man of the mountain". Little is known about him, which is a good thing considering that he's an assassin! He was born with a broken psyche, being born with dozens of different personalities. Rather than be hindered by this he used it to his advantage. Each shard of his mind gained it's own specialty. He had a different persona for every imaginable situation. 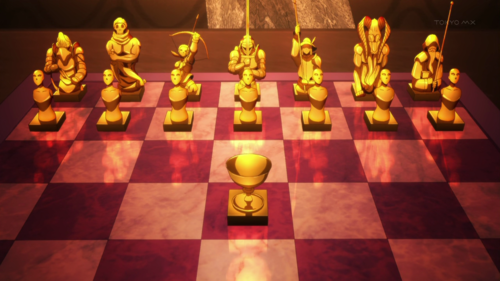 When summoned into the holy grail war he is summoned as multiple individuals. Each representing one of his separate personalities. 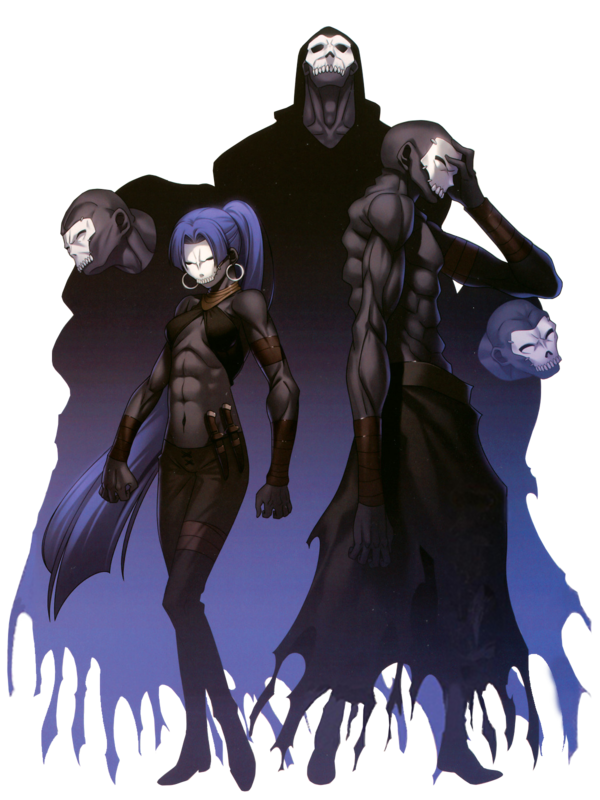 Catalyst: The Hassan's don't need a catalyst to be summoned, as they were the founders of the Assassin class.